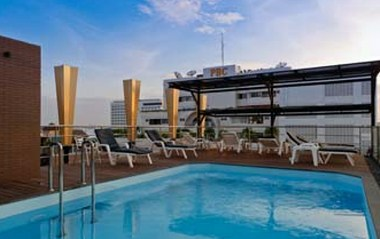 Inn House Hotel is located in the heart of Pattaya. 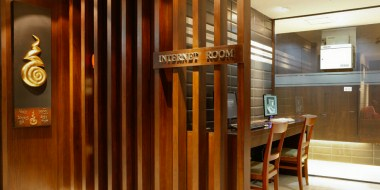 Inn House is suited at Soi 13 Pattaya Beach Road. We are just 100 meters from the beach and surrounded by the shopping stores. Pattaya is 147 kilometers southeast of Bangkok, facing the Gulf of Thailand. It is Asia's premier beach destination attracting families, couples and single visitors. 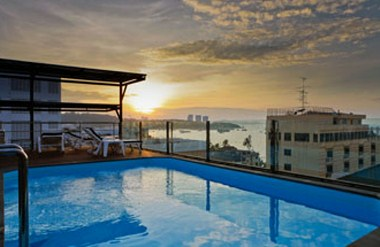 Pattaya's relaxing tropical ambience offers every ingredient for memorable holidays. We provide 7 kinds of rooms to select for your pleasure: Standard, Superior (a double bed or twin single beds), Deluxe, Seaview, Suite, Seaview Suite, and Penthouse. Our rooms are specially designed for you to enjoy the beautiful panorama view of Pattaya bay, Larn Islan, Sak Island, and Krok Island from your private balcony. All 74 rooms are tastefully decorated with fresh contemporary wooden furniture and equipped with appliances to comfort you while staying here.